60 feet of railing made from angle iron to resemble organic forms holding up the forged horizontal element for the Stowers Institute for Medical Research in Kansas City, MO. The metaphor is "Plants as valuable elements in the research structure". 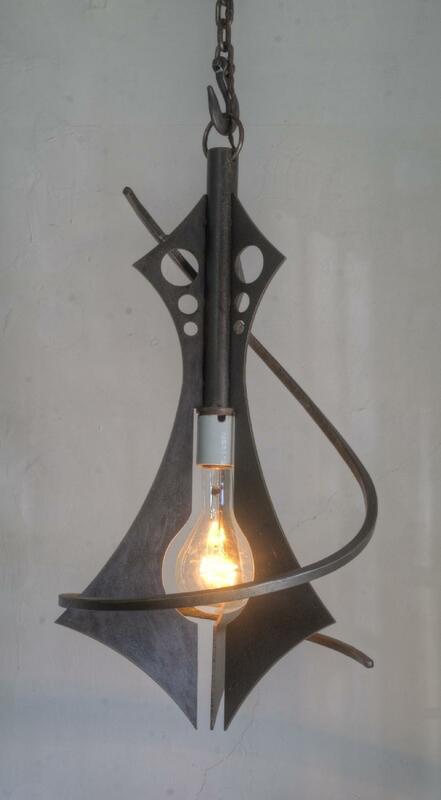 Nautilus pendant by Jefferson Mack Metal. Giant 300 watt mogul bulb. Need a dimmer on this! 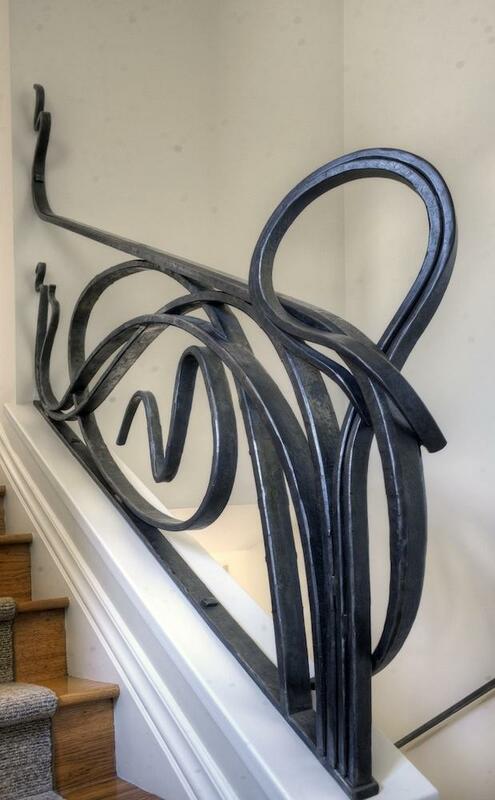 Hot forged steel guardrail by JMM in an elegant SF home. Shop/assembly drawing for forged steel gate for a house on Russian Hill, San Francisco. The finished gate by Jefferson Mack Metal. Design completes the 7 ft. diameter circle established by the existing arch and suggests a large subterranean circle with the lower bar.